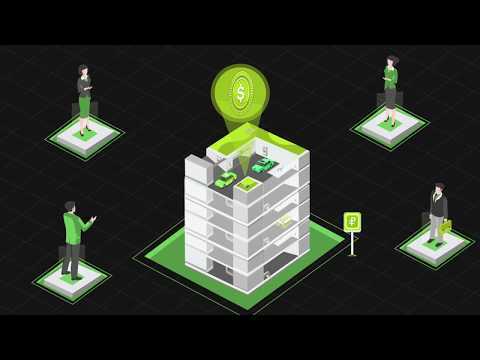 Parkade Coin is your opportunity to participate in a token backed by the development of worldwide parking infrastructure. It will include a worldwide mobile application to help manage the way that the world parks via the blockchain. Parkade Coin is developed in a way to promote growth that uses a combination of proprietary technologies, market analysis, and human expertise to capitalize on a glaring need in cities around the world. The capital provided by the Parkade Coin community will be used to grow our parking presence and develop a worldwide mobile application to support the infrastructure. In addition, our management team has extensive experience in operating, managing and growing businesses, which will be leveraged to provide guidance to the venture. We watched token sales and ICO’s begin to gain traction. Immediately, we saw a need to use the power of the blockchain to help change the world. The Parkade idea was finalized, and whitepaper begins to be developed. Infrastructure for the ICO starts to come together. Design, logo, and website are conceptualized and finalized. The team agrees on the color green as the staple for the ICO and Parkade.io brand. Information release, 30 days before the launch of the ICO. Private Sale and Pre-Sale of the Parkade Coin. Begin purchasing assets and application development begins. Construction will begin on applicable purchased property.